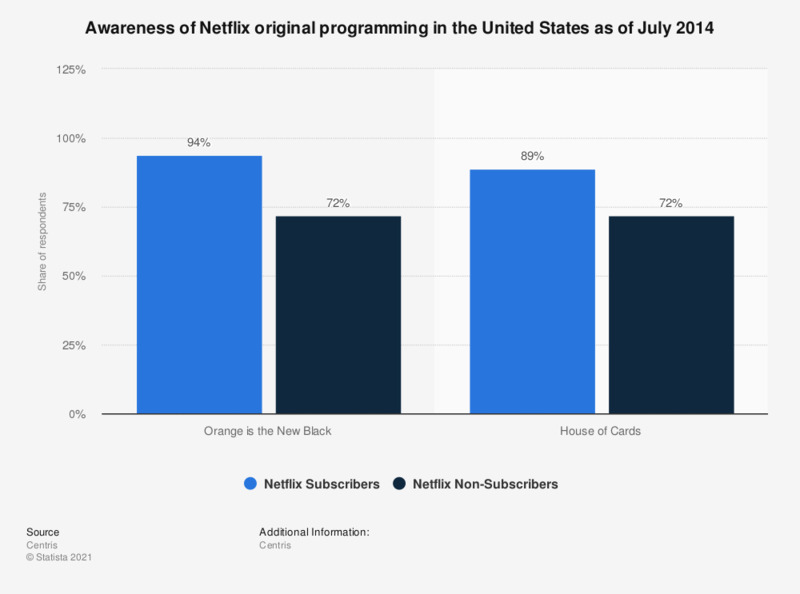 This statistic illustrates the awareness of Netflix original programs in the United States as of July 2014. Awareness of Netflix original programs was high with 72 percent of Netflix non-subscribers being aware of the series 'House of Cards' starring Kevin Spacey. These results are based on a survey of the EOV (Evolution of Video) community. The source does not provide further information on the survey methdology (number of respondents, type of survey used). How long will/did it take you to watch the first season of 'House of Cards'?